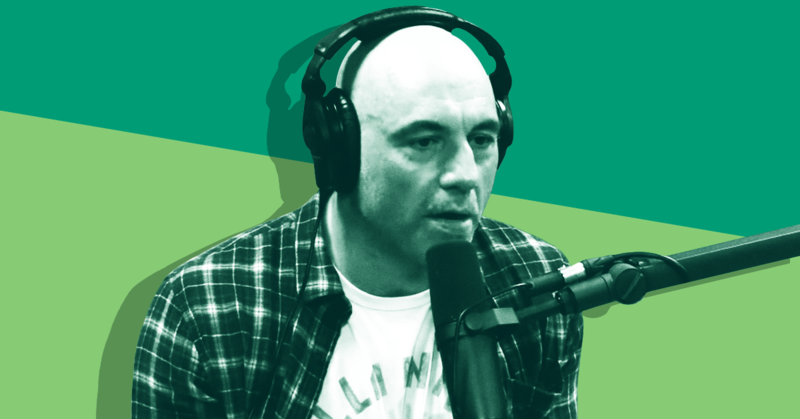 Blog ››› April 15, 2019 2:14 PM EDT ››› CRISTINA LóPEZ G.
The Joe Rogan Experience, a podcast hosted by comedian Joe Rogan, is consistently topping the charts in terms of popularity. It was the second most downloaded show on Apple Podcasts in both 2017 and 2018, consistently tops the popularity charts on podcast app Stitcher, and the episodes reach over 5 million subscribers on Rogan's YouTube channel. I have listened to a lot of Rogan episodes over the past few months in order to try to understand why the show is so popular. It is a bizarro Fresh Air, a rambling, profane interview program in which the host is often high, loves to talk about cage fighting—Rogan has long worked as a UFC commentator—and never lets his guests go home. (Episodes can stretch past three hours.) His interviewees are an esoteric lot spanning Rogan’s wide range of interests: stand-up comedy, mixed martial arts, evolutionary psychology, alternative medicine, music, acting, business, and the excesses of leftist identity politics. Rogan’s guests are also mostly men. Media Matters tracked guest appearances on 142 episodes of his podcast aired between June 26, 2018, and April 3, 2019, and found that out of 161 total guest appearances, only 14 were by women. 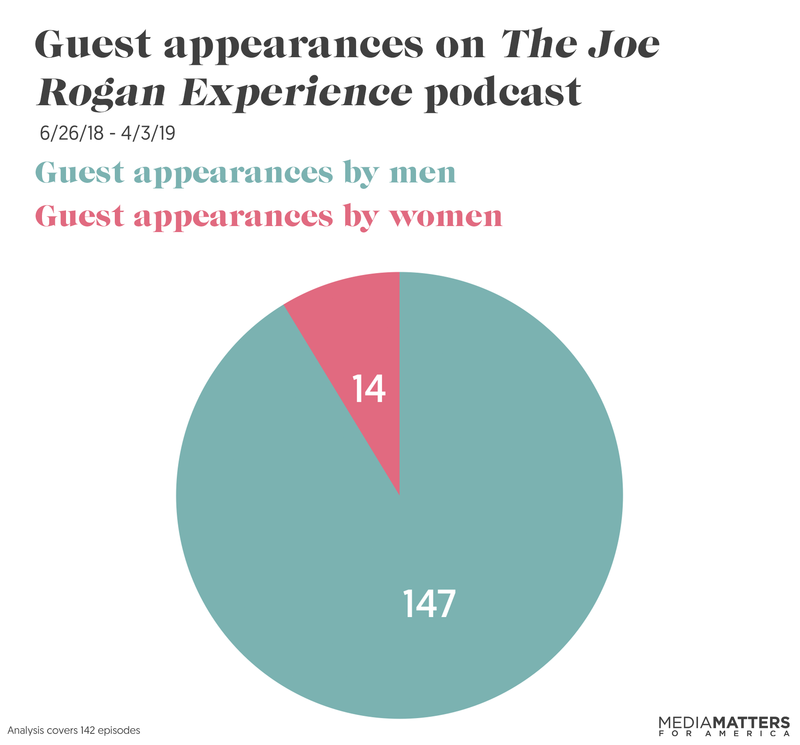 Media Matters tracked guest appearances on The Joe Rogan Experience podcast and coded appearances by men and women in 142 episodes that aired between June 26, 2018, and April 3, 2019. The analysis focused on guest appearances as opposed to individuals, as some guests appeared more than one time during the time frame analyzed. Nikki McCann Ramírez and Alex Kaplan contributed research to this piece.